The God of Whispers has spread an omnipresent paranoia to every corner of the kingdom of Zhal; his spies hide in every hall spreading mistrust and fear. Adam Osidis, a dying knight from a disgraced house, must choose between joining a hopeless band of magic users in their desperate bid to free their world of the evil God, or accepting his promise to give Adam everything his heart desires. 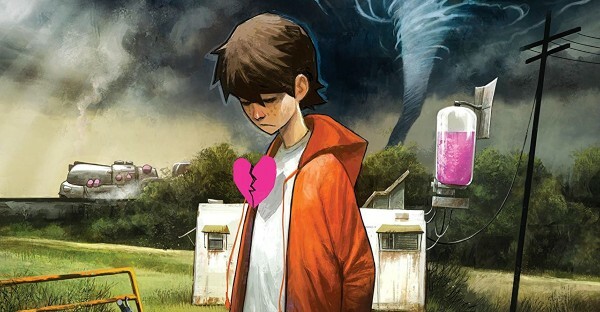 Writer RICK REMENDER reteams with collaborators JEROME OPEÑA (Uncanny X-Force, Fear Agent) and MATT HOLLINGSWORTH (TOKYO GHOST, WYTCHES) to take you on a hard road through the strange fantasy world of Zhal. All men have surrendered their freedom for fear, and now one last free man must choose. 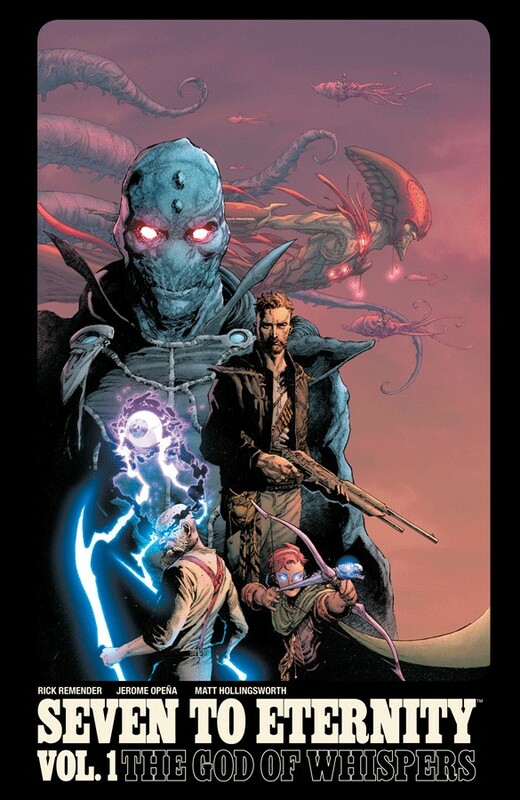 Collects SEVEN TO ETERNITY #1-4.